It used to be that homemakers were seen as less than competent or overindulged even if they hired out some of the chores many considered just part of the homemaking gig. Fortunately, that silly stigma is changing. Busy parents hire housekeepers, gardeners and nannies. And these people don’t have to be rich to accomplish this, either. The entire concept of getting help to run the home is more accepted, even welcomed. But what about garage sales? Most the time people are trying to accomplish two major goals when they have a garage sale: they want to get rid of stuff cluttering their home, and they want to make some cash. They sort through their own stuff, they price their own stuff, and then they sit out with their own stuff with hopes of getting rid of it and bringing in some money. My most recent garage sale was the most successful I’ve ever had and I am convinced it’s because I hired a garage sale coordinator. What is a garage sale coordinator? Not to be a smart aleck, but it’s someone who organizes and manages your garage sale. They either charge a flat fee or a percentage of the sales, depending on the situation. I hired a friend who is a professional organizer. She helps people declutter their homes by either getting rid of extra stuff or organizing what they have in a more efficient manner. A professional organizer can also help you get rid of the stuff you don’t need any more, either through local charities or a garage sale. By now, you’re probably thinking “I’m not going to pay someone out of my profits to run my garage sale.” But think of it this way. If this coordinator helps your garage sale be more of a success, would it not be worth it to pay that person a small percentage of those increased profits? I think it is! Take my own garage sale as an example. The most I’ve ever made at a garage sale that I planned on my own for weeks was $40. This time, however, I made 4 times that. And this was a garage sale that got planned and executed in less than a week. It would have been even more successful if we had more time to plan–I’m sure of it. One note: I often get messages from people who say they can’t find someone who does this kind of thing. Ask professional organizers or space organizers. They might offer garage sale coordination as a side service. If not, simply ask a friend or someone who has had lots of garage sales. It’s just smart to have someone to coordinate it and run the sale. 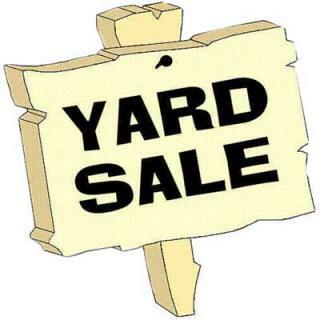 Learn your city’s ordinances about garage sales BEFORE the sale so you don’t get in trouble. Each area is going to have its own rules on signage, permits, etc. Have something else there to offer besides just the treasures you’re selling. This could include Kool-aide or water, or even have a music playing to lighten the mood. Have an outlet available if you’re selling electronics. This way you can prove the stuff you’re selling works. Note: This blog was written more than 5 years ago and is based on my own experience. I’m not able to help anyone find a coordinator or make recommendations. I’m also finding that fewer personal organizers are offering this as a service. The key thought here is, find someone to help take over the sale who has experience and is well organized. I found out today I’m terminally ill and I need info on getting rid of a lot of stuff. can u help me? Elizabeth, I’m so sorry to hear this news. Where do you live? Are you in Northwest Arkansas? I would suggest deciding what would be the best financial decision for you that is the least amount of stress. Does this mean a garage sale? I strongly urge a garage sale coordinator. If you are local to NWA, I used Simply Serenity.